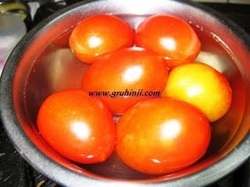 Boil the tomatoes. Grind to paste and remove the pulp. 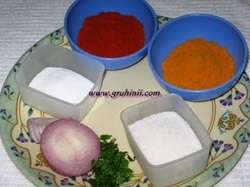 Add finely chopped onion, chili powder, salt, sugar and coriander leaves. 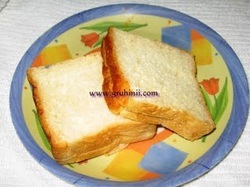 Place the tomato mixture in between two slices of bread and toast them. 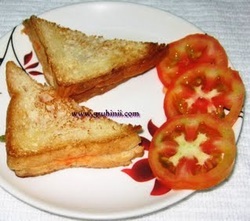 Tomato Sandwich is ready to serve hot.